Ironing is such a hassle. Filling up the iron itself, setting up a 40-year-old, cumbersome ironing board, all the folding and manipulating that has to be done. And don’t even think about making a mistake. How about a worry-free steam cleaning experience from the best garment and fabric steamer that you can find and not having to worry about any of those that? 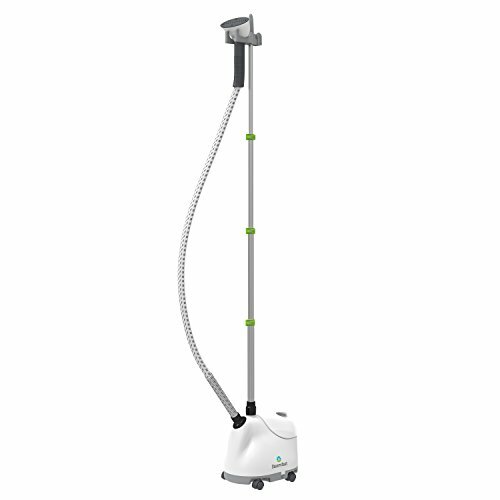 1 Why Use A Garment Steamer? 2 The Top 5 Garment and Fabric Steamers for Clothes: Which one is the Best? 3 What to Consider when Buying a Steam Cleaner? If you want to know the best garment and fabric steamer out there, look no further because it’s the Steamfast Fabric Steamer. 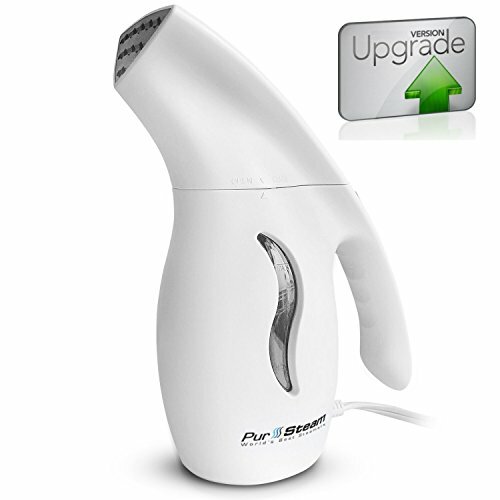 Living up to the “elite” name, this steamer has a 40 ounce tank but heats up in less than a minute. Beyond that, it does just about every marvelous thing you could ask for from a steamer. Why Use A Garment Steamer? Ease of Use: While, traditionally, most people think of using an iron, it’s not even close to as simple as using a fabric steamer. Just hang the clothing item and run the steamer over it. Faster: All of the ridiculous steps it takes to iron something make it take way too long. Normally, when you are ironing your fancy clothes, you have a lot going on already so ironing is a hassle. Steaming will get your clothing done much quicker. Professional Clean: Steam cleaning is a respected way of cleaning your clothes. Most people pay for a nice steam cleaning – but why do that when you can just do it yourself in your own home? The Top 5 Garment and Fabric Steamers for Clothes: Which one is the Best? Sometimes bigger might not be better. If you think you won’t need more than 45 minutes of continuous steam (which is a lot), then this steamer may be your choice. You’ll find that this more agile option comes at a cheaper price which may be two things you think are perfect for you. This steamer can be heated up and ready to go in just 45 seconds. Other steamers will tell you they will be ready in a minute or two – but Steamfast is ready when you are. This package includes a telescopic pole, clothing hook, and attachable fabric brush. These tools will help you get the most out of your steaming so that you can get the best clean while still being easy on the fabrics of your clothes. The biggest tank on our list is right here at 81 ounces. You’ll get more than an hour of steam if you fill up before you start. The 1500 watt motor will keep things nice and hot so that you can get all of your steaming done. The hanger you’ll need for your steaming is built into this product and you can use the included clips to keep your garments right where you want them. The steam head that’s included is also great because of its widespread so you can cover a large surface area. Other notable items include a crease attachment, fabric brush, and lint pad. This steamer is really convenient due to its foot operated on and off switch. No need to bend down and find a button if you need to take a pause. Also, the wheels on the base of this model will make things easy to move around when you need it. This machine gets the steam pumping in under 60 seconds. That means if you have a quick job to do, you won’t be needing to sit around to wait for your garment to get cleaned. The huge 61-ounce tank on this otherwise compact machine can get you up to a full hour of steaming. Those times when you have been putting off the ironing are now no problem with this machine. The best of PurSteam’s competitors will only get you a one year warranty – but PurSteam believes in their product and know that they can give you a FIVE-year warranty. That’s the kind of warranty that you normally get on cars! The powerful heater in this item gets the water warmed up and coming out of the steaming head quick. In fact, you can be steaming in as little as 45 seconds. Bet you can’t say that about setting up an ironing board and filling up an iron. For those days when you are on a roll and need to do a lot of steaming, don’t even worry about it with this product around. The tank holds half a gallon so you can get all that steaming power for longer than you would probably ever need. We’re willing to bet that you didn’t get an ironing board with your iron purchase, huh? Well, good thing with a fabric steamer you get everything you could need. The garment hanger and fabric brush attachments come along with the steamer itself so you will be all set up to steam on day one. This steamer will get nice and hot using its 1300 watt power source. And it will do it quickly with just a two-minute wait. That may be slower than a few other options but this steamer also boasts a one and a half hour steaming time – something that competitors don’t. Make sure that you can have maximum flexibility by looking at those hose lengths. Jiffy’s steamer will have the longest one and will end with a six-inch head that is perfect for directing your steaming power. Jiffy knows they make a pristine product so they back it with a full three-year warranty on manufacturer errors. A company can only do this if they believe in their product so you know that your Jiffy steamer is going to work for years on years. What to Consider when Buying a Steam Cleaner? Of course, cash is king. The steam will always be the same and get your clothes looking brand new. So, you have to figure out what features you are willing to pay for – and which ones you aren’t. Bigger can be better – but it can also be worse. If you want a more maneuverable steamer than you will want to get one with a smaller sized tank. But this comes with the trade-off of not getting to use your steamer as long as you would probably like. Think about this while you are pondering these models. Most steamers will come with the common attachments that you would want to be able to use. However, be mindful and make sure that you are getting the tools that you would want to use with your steamer purchase. Steamers are often durable but having a warranty never hurt anything, right? If you desire a warranty, make sure that you get one. Ironing is outdated and old-fashioned. And, what’s worse, it’s just plain inefficient considering how important your time is. 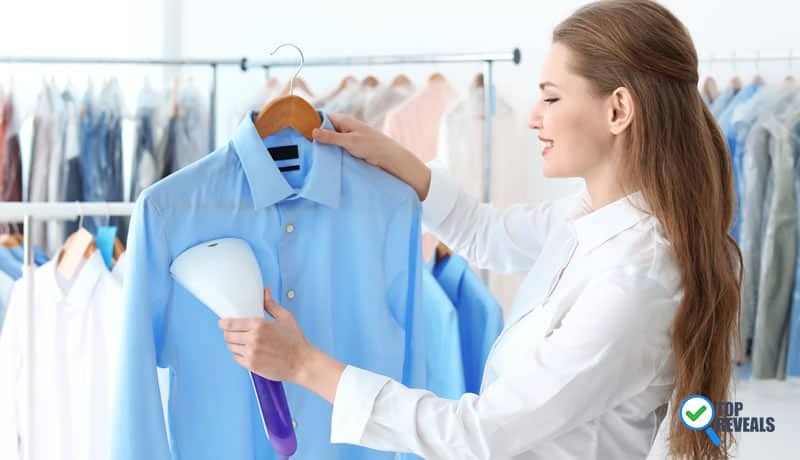 The best garment and fabric steamer options are all right here for your consideration so you don’t have to struggle with ironing ever again. 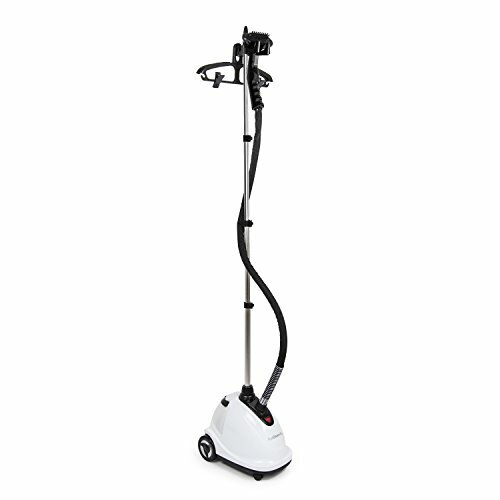 The PurSteam Garment Steamer is our favorite choice for a variety of reasons but, really, all of these fabric steamers are outstanding options. Pick one up today so you never have to endure the hassle of ironing again.